“Remember Bataan, Fight for Justice!” 68th Year Commemoration of Bataan Day, April 9, 1942 Saturday, April 10, 2010 from 9:00 am to 1:00 pm Filipino American Community of Los Angeles (FACLA) 1740 W Temple St, Historic Filipinotown, Los Angeles, CA 90026. JFAV and AWARE will remember the 68th Fall of Bataan. On April9, 1942, the USAFFE surrendered to the Japanese Imperial Army, the largest US army garrison in the Pacific numbering 90,000 men. 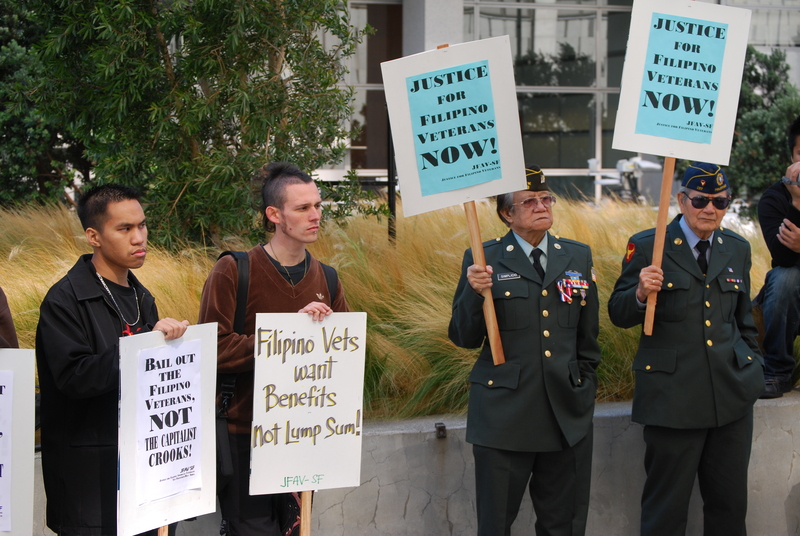 More than 30,000 US Army soldiers and 60, 000 Filipino soldiers of the Philippine Commonwealth surrendered after holding out for more than four months. The crucial four months gave the allied forces to prepare a counter-offensive against the Japanese later in the Pacific Theater of War. After Bataan, more than 30,000 American and Filipino soidiers died during the infamous"Death March" from Bataan to Tarlac concentration camps. Remember Bataan. Fight for Equity! JFAV and AWARE will be representing the veterans and widows with recognition certificates on April 10th. This is the spirit of further forging the connection between the younger and elder generations. Concurrently, this year's Bataan Day commemoration will also herald the launch of the grassroots campaign to support the lawsuit that JFAV and attorney Arnedo Valera, Esq. will soon bring against the US Department of Veterans Affairs (DVA). For more information please call JFAV at (213)241-0995 or (213)321-1787 or email at jfav_us@yahoo.com.